Child sponsorship is important to Let Us Shine for two reasons. 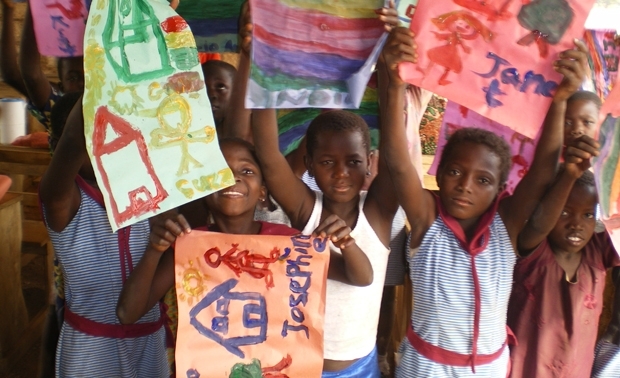 Firstly in a world of many charities it is important to us that our projects are sustainable and can last the entire time of the child’s education. Secondly, we see it as a bridging link between our supporters in the UK and the children we help. Child Sponsorship is the only source of regular income for Let Us Shine and it is often the only hope for a child to flourish, grow and learn in a safe environment. Without the help of our sponsors we cannot function. For just £20 a month you could pay for a child to attend our school, contribute to the cost of her education and teachers’ salaries, providing her with three meals a day, boarding accommodation, clothing and medical care. The full £20 goes to Africa and goes towards your child’s welfare. We have no expenditure outside of Ghana and our staff in the UK are not paid a salary. The more sponsors we have, the more children we can educate. Please help them to secure a successful future for themselves and their families. Please help them to shine. If you wish to sponsor a child, please download and complete our Child Sponsorship Pack [PDF, 217KB], returning it to the address on the form. Yes! We are happy for sponsors to write to their child however we to appreciate that not all sponsors will be able to do this. When you set up your account we will give you an address that you can send mail to. Your child will write back to you as their writing develops or with help from a teacher as for most this is their first instance of formal education. Let Us Shine can arrange for you to visit your child’s country, region, village and school should you wish. Many sponsors have done this. See for yourself the work we do. If you would like to visit a Let Us Shine project or meet with your sponsor child please contact us.